1. Revenge of the Mummy (Universal Orlando Resort) and now with scripting and the switch tracks this could be an amazing recreation! It would require a ton of scripting, 3d modeling and custom Trains. 2. Verbolten (Busch Gardens Williamsburg) The only problem I see with this is the free fall section of the ride. However I am sure that with enough scripting it could work. 4. Big Thunder Mountain (Walt Disney World) One of my first coasters of all time and one of my favorite. I would love to see this recreated for NL2. The only flaw would be the 3d modeling. 5. Incredible Hulk Coaster (Islands of Adventure) I would be amazed if someone recreated the entire surrounding area of this coaster. It is a very thrilling coaster that tells a unique story. A few setbacks would be the 3d modeling, scripting (sounds), and the cartextures for the trains. Last edited by Blase Rhine on October 8th, 2014, 7:54 pm, edited 2 times in total. I like the idea! Personally I'd love to see the Phantom's Revenge recreated in Nolimits 2. 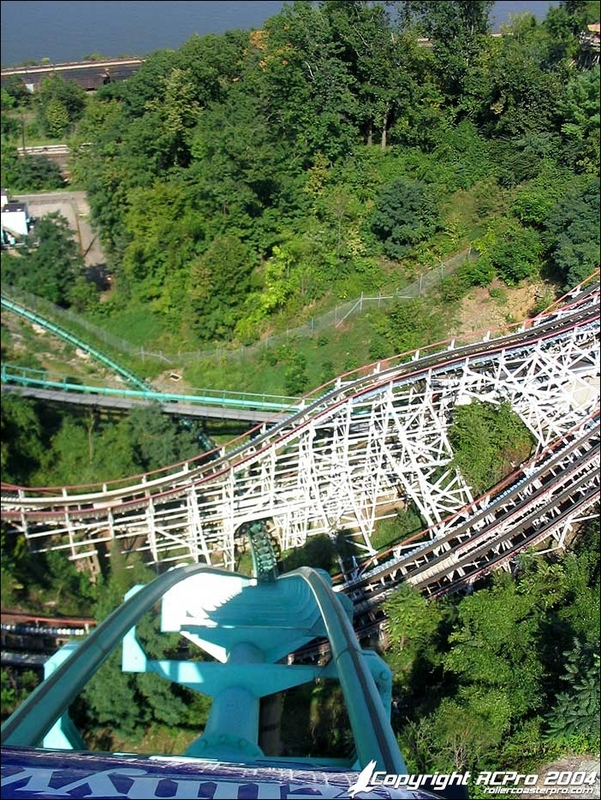 Although it's not my favorite coaster (about 3-4 on my top 10) it holds a special place being at my home park of Kennywood. I've given the recreation some thought myself, but every time I try to work out the terrain it never goes well. Is there a way to import terrain from google maps or something? Real's version from 2003 is a bit oudated, great at the time, but the objects and scenery and blocking doesn't work right at all in NL2. AyTrane's Millennium Force moved into NL2. Maverick, was never done well in either game. Volcano The Blast Coaster, was never done well in either game. Intimidator 305, done well by A113 for NL1, but can be moved into NL2 and fixed up a bit with trackwork and blocking. Those are my top 5 wants! The challenge will all of these is their unique layouts and design and little details that should be followed, but TTD, MF, and I305 are all legit possibilities since great trackwork from NL1 for all of them exist. ^YES. Some great coasters in NL1 don't work in NL2. For example, when I imported Colder Fusion into NL2 the gigantic amount of 3ds got distorted. A113's I305 did this as well. Aytrane's MF could be made even better now! He put mantis & TTD in the background, but they are just 3ds objects. With NL2 you could make the real rides! Also, are you just naming all of the big CP coasters and KD coasters? I also started a Voyage recreation one time but I forgot about it, and had decreased motivation due to reading about users e-mailing companies for possibly confidential blueprints which is not guaranteed, which made me afraid of the potential increase in standards. Might return to it but IDK. It would also be great to see some of Bobcoasters recreations turned into NL2, the most notable being his Knoeble's Twister, and Boss. That's going to take some extensive scripting. You sure you have the motivation for a project of that scale? Oooo I really want to see a Phantoms Revenge and Skyrush would be amazing also! I have another I would like to see: Swarm (Thorpe Park) it is such an amazing and majestic ride. The setback would be that someone would have to script the Wingrider trains or wait until the update comes out. there is a skyrush that was uploaded not too long ago. Expect a completely accurate Thunderbird recreation from me next fall. Coincidentally I was working on a nitro recreation earlier today, but without knowing some vital stats it's kinda difficult (like the height of each camelback and height of the station). Especially that prelift; I tried curved geometry and force based sections but it's a difficult element to recreate accurately, at least for me. Yea I'd definitely like to see an El Toro, surprised no one has made a good one ever! Yeah Freddie's version is going to be pretty much spot on - last time I heard from him he was having some difficulties with importing newton into NL2 though as it wasn't being accurate enough! possibly a recreation of an entire theme/adventure park, if possible. ^ That's something Real is working on over at NLE, he is doing Raptor now I think, then he is revisiting TTD and so on until he gets the whole park done. That wpuld be nice to see what he has done already. Thanks for the info.